I am unapologetically in love with ramen. A good bowl of ramen can really do wonders. 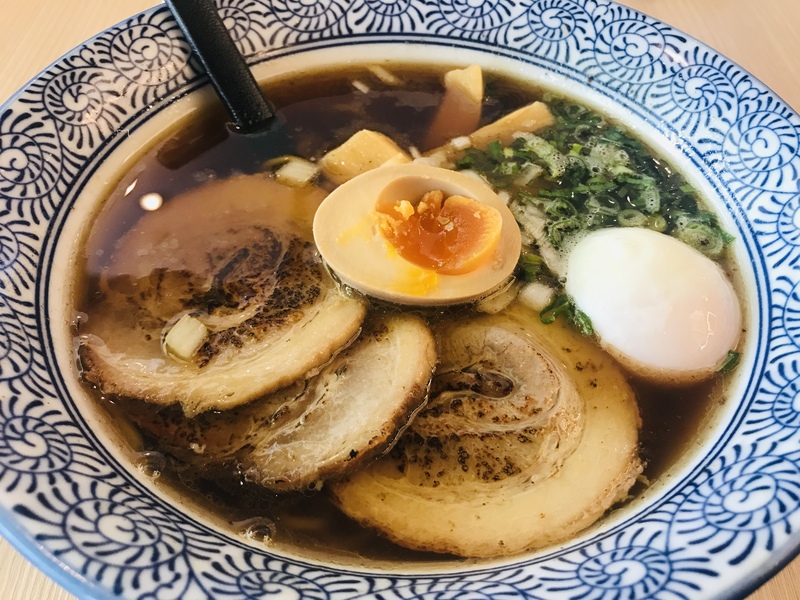 My favorite ramen is still Ramen Keisuke Tonkotsu King at the moment for its thick creamy pork bone broth, but I am always willing to try out other ramen restaurants. 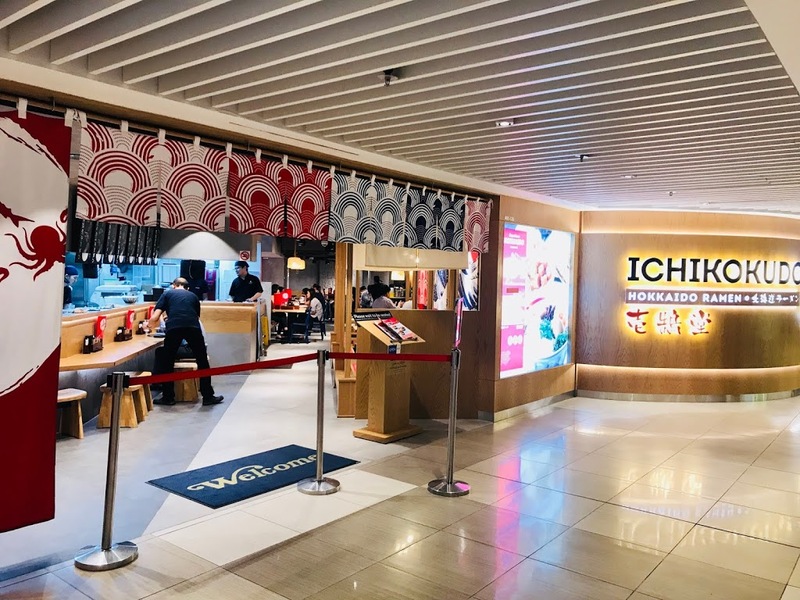 I recently found a ramen restaurant in Velocity @ Novena Square. It is fully-packed everyday during lunch, which is a good sign. Let’s find out if their ramen is worth the wait. So Ramen has 3 types of handmade ramen to pair with different broths. Hosomen ramen is thin and straight, it goes well with the thick and creamy tonkotsu ramen. Chijiremen ramen is thin and wavy, it is paired with shoyu broth. Futomen ramen is thicker than the previous two and it goes well with miso broth. All the ramen noodles are made lovingly by hand using premium wheat flour. 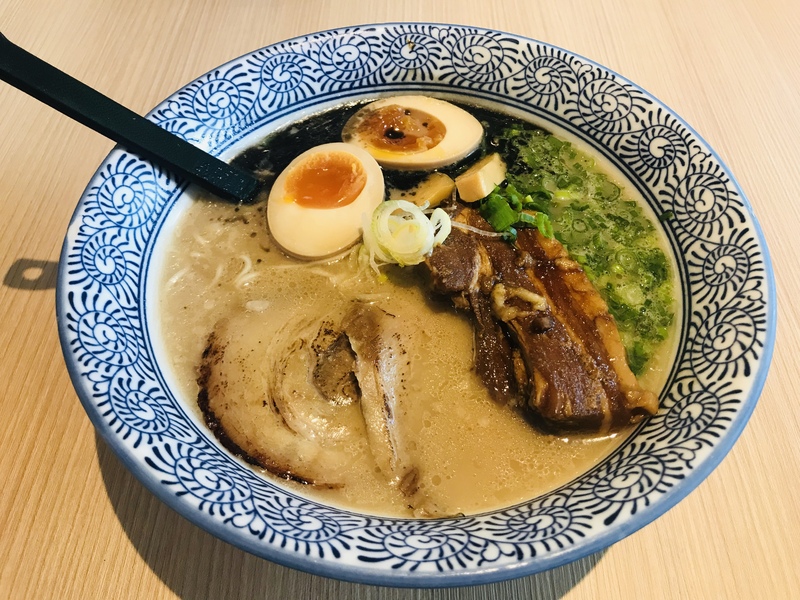 There are various combinations available but if you want to get all the toppings at one go, you should order the Grand Tonkotsu Ramen [$13.90]. Black onion sauce is added to the pork bone broth to give it a more intense flavor. 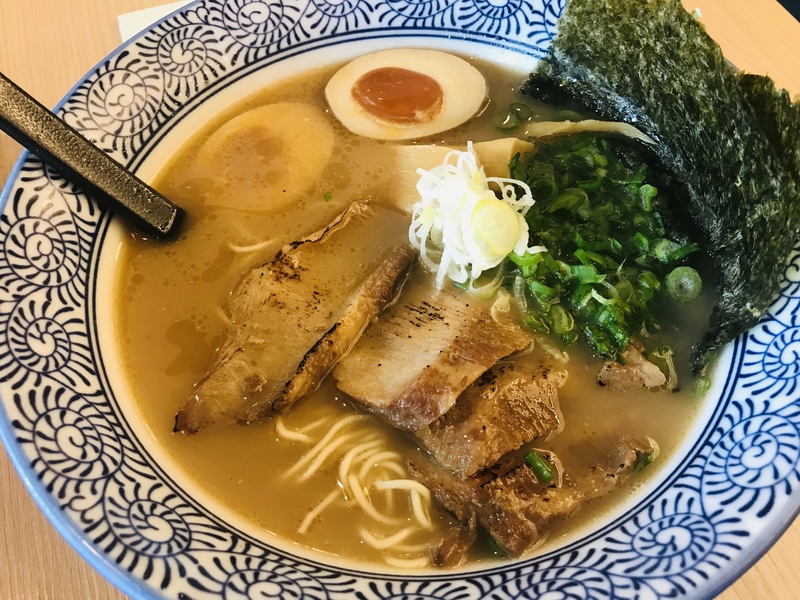 Other ramen restaurants normally only serve one type of cha shu, but So Ramen gives you three different braised pork cuts – toroniku (pork cheek), buta kakuni (braised pork belly) and cha shu. There is also ni tamago (Japanese flavored egg) and menma (fermented bamboo shoots alongside chopped spring onions. 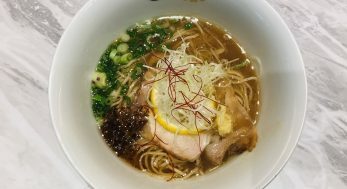 The other variations are Toroniku Tonkotsu Ramen [$9.90], Pork Yakiniku Tonkotsu Ramen [$9.90], Tamago Tonkotsu Ramen [$9.90] and Cha Shu Tonkotsu Ramen [$8.90]. If you want to try something a little more exciting, you can go for the Toroniku Uobushi Tonkotsu Ramen [$13.90]. The addition of smoked fish gives the broth a distinctive smokiness. 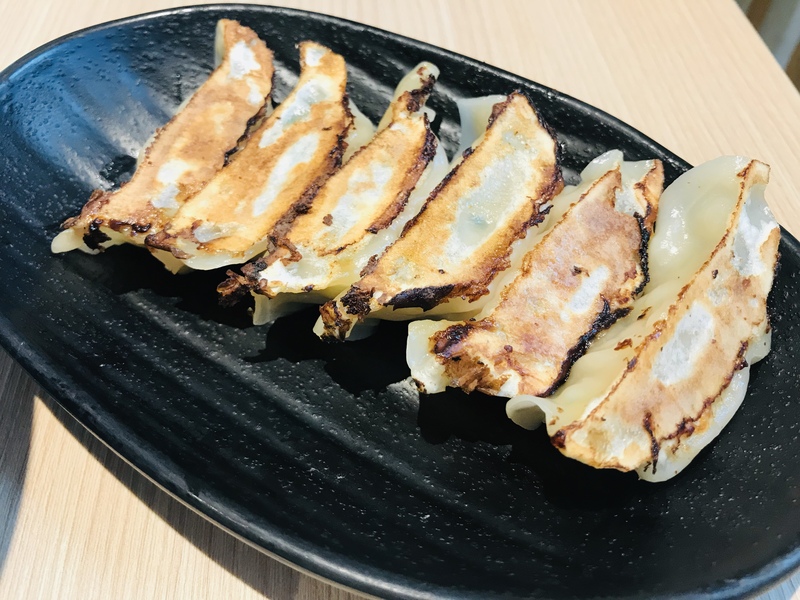 The slices of toroniku (pork cheek) cha shu are not quite as melt-in-the-mouth as described in the menu but the thin straight hosomen ramen works well with ni tamago, menma and seaweed. The other variations are Tamago Uobushi Tonkotsu Ramen [$9.90] and Cha Shu Uobushi Tonkotsu Ramen [$8.90]. If you are a spicy-eater, you will probably enjoy Tamago Spicy Tonkotsu Ramen [$12.90]. Chilli pasts is blended into tonkotsu broth and topped with spicy minced pork to give you that extra kick. The other two variations are Toroniku Spicy Tonkotsu Ramen [$10.90] and Cha Shu Spicy Tonkotsu Ramen [$8.90]. Yasai Cha Shu Miso Ramen [$11.90]’s miso broth is made of 7 types of Japan-imported miso pastes. Each of these miso paste is aged differently and each one imparts a special flavor into the miso broth. 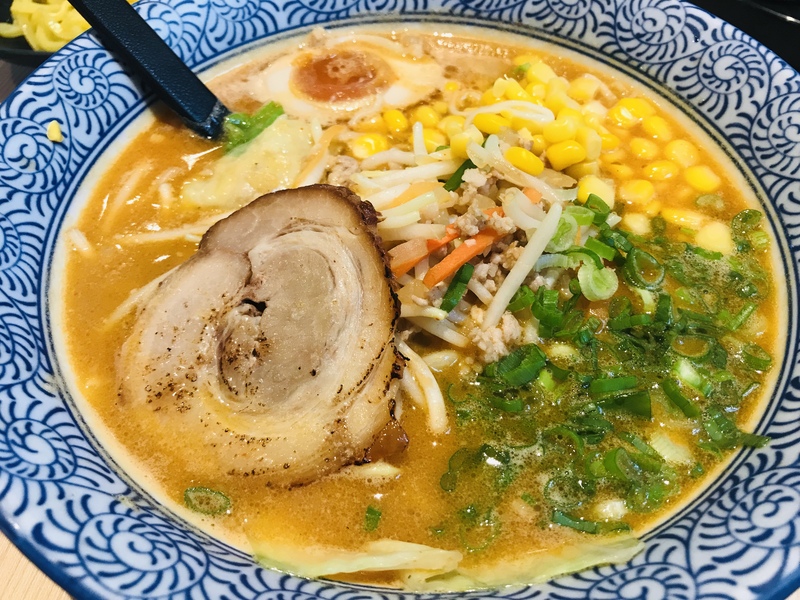 The thick futomen ramen is paired with mixed vegetables, corn, cha shu, ni tamago and minced pork. The other 2 variations for this ramen are Toroniku Miso Ramen [$11.90] and Cha Shu Miso Ramen [$10.90]. Those who want a light ramen can go for Tamago Shoyu Ramen [$12.90]. Thin curly chijiremen ramen are served with ni tamago, onsen tamago, cha shu, menma and diced onion in a light soy-based broth. The other two variations are Toroniku Shoyu Ramen [$10.90] and Cha Shu Shoyu Ramen [$8.90]. 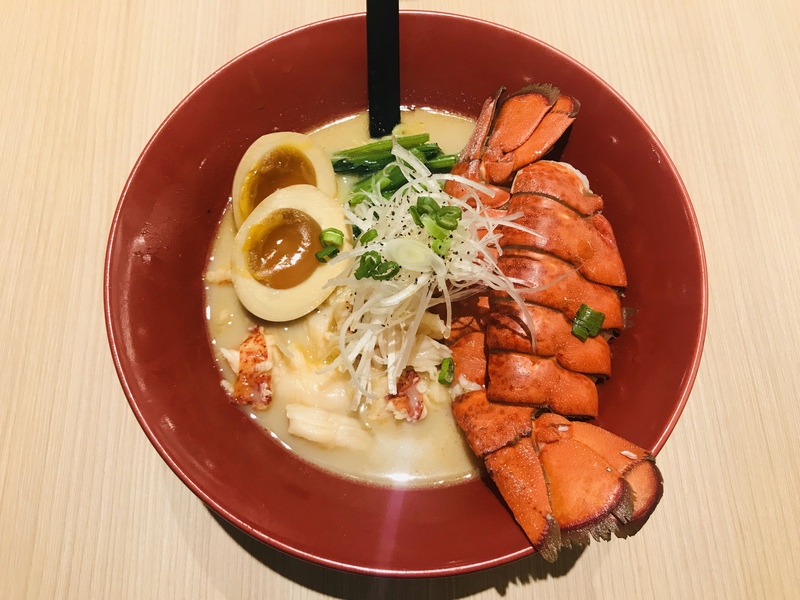 So Ramen is currently running a promotion on their new Superior Lobster Ramen [$20.90]. 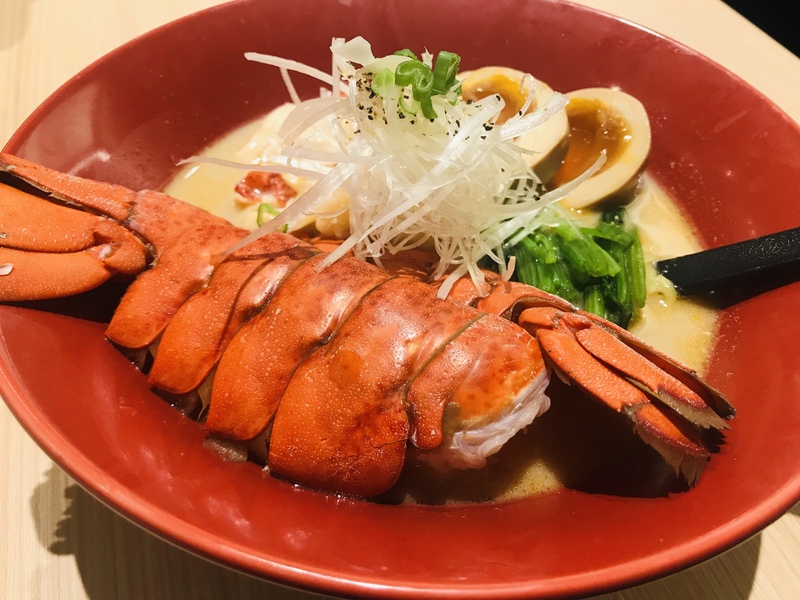 You can taste the sweetness of the lobster in the broth, with chunks of real lobster meat and decorated with lobster shell. You can also top-up $8 to get a full lobster which I personally think is a pretty good deal. So Ramen’s new Buta Kimchi Ishinabe [$15.90] was what drew me to So Ramen in the first place. 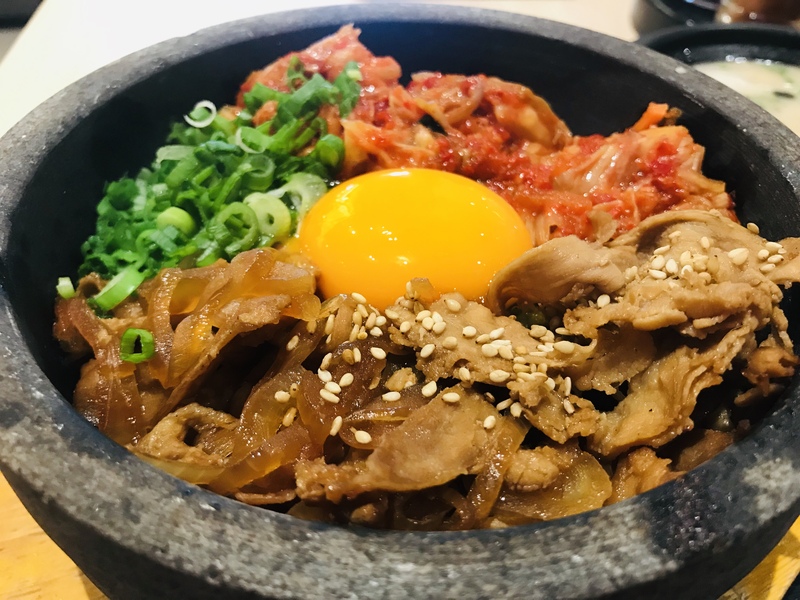 Served in a hot stone bowl, it is more Korean than Japanese. 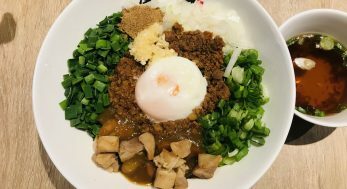 The sourness of the kimchi balances out the greasiness of the pork slices while the onsen egg held everything together and the spring onions refreshes the palate. 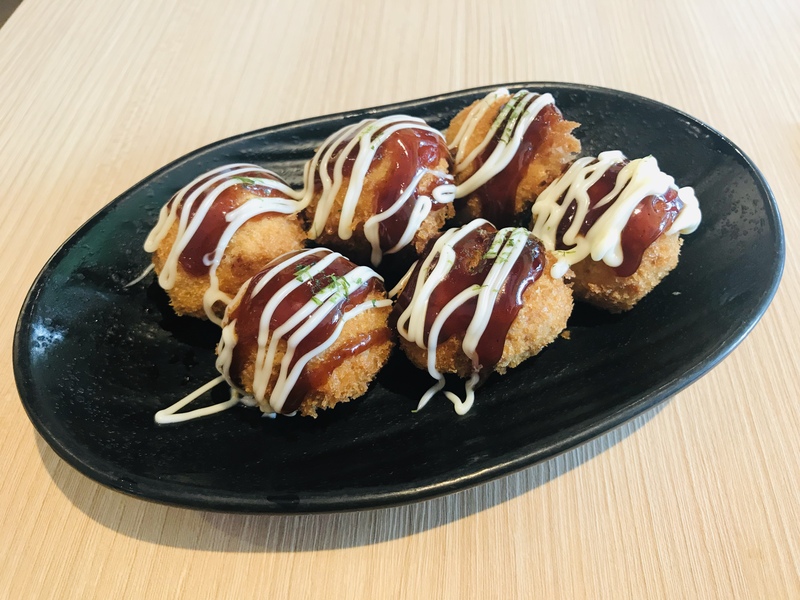 If you don’t like pork and kimchi, there is also Butariki Ishinabe [$12.90], Pork Katsu Curry Rice [$10.90], Chicken Katsu Curry Rice [$10.90], Cha Shu Don [$9.90], Oyako Don [$9.90] and Pork Yakiniku Don [$9.90]. 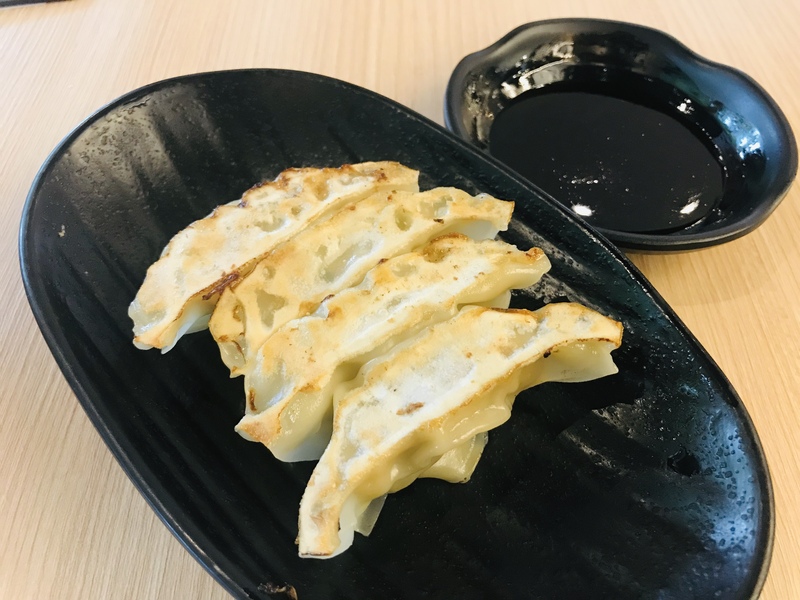 You can also order side dishes such as Yaki Gyoza [$2.80 for 4 pieces, $4 for 6 pieces], Crispy Chicken Gyoza [$2.80], Mustard Chicken [$3.80], Crispy Dango [$4.80], Tori Karaage [$3.80] and Truffle Edamame [$3.80] to make your meal more complete. So Ramen blends different broths together to create new exciting broths. Prices are reasonable and the service is good. 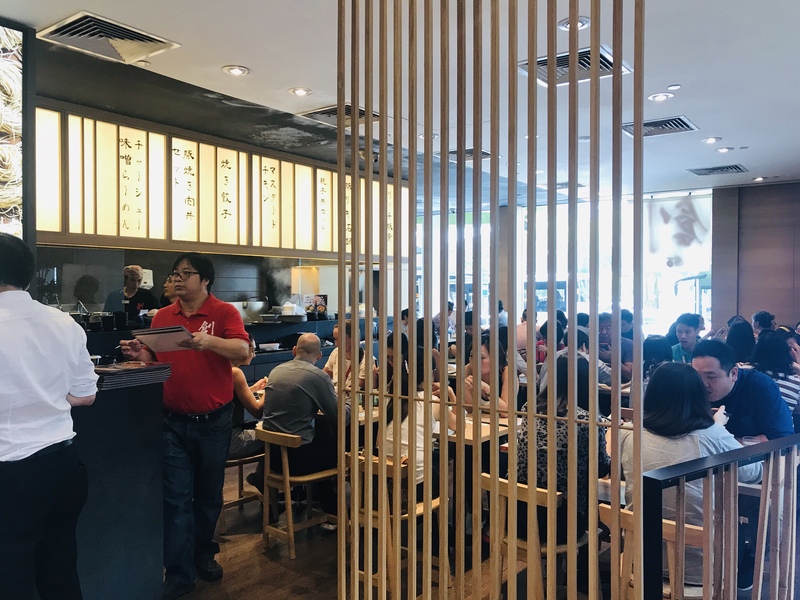 You can find the addresses, telephone numbers and opening hours of all 5 So Ramen outlets here.